I was arrested for DUI - Is my license suspended right away? You've been arrested for DUI in the state of Illinois and you want to know is your driver's license is suspended right now. Great question, join me for a minute. My name is Steve Fagan, from the Law Firm of Fagan, Fagan & Davis. I am a criminal, DUI and traffic defense attorney here in the state of Illinois, let's talk about that. The first thing you need to know is that, once arrested for DUI in Illinois, the officer will ask you to submit to testing, either a breath, blood or urine testing. If you take a breath test and you blow 0.08 or above, then the officer is going to give you immediate notice of the statutory summary suspension, also if you refuse any of the three tests, the officer can give you an immediate notice of the statutory summary suspension. That typically will be given to you refuse or just before you leave for the night and your released from custody. If you take a urine or blood test however, they have to wait for the results, and what they'll do is once they get the results, the police will send you in the mail a notice of the statutory summary suspension. What happens then is they also send a copy down to the Secretary of State of Illinois, once the Secretary of State of Illinois gets that notice, they will turn around and send you what is called a confirmation of statutory summary suspension and you'll get that in the mail as long as your information is correct with the secretary of state and it matches what is on the notice statutory summary suspension, if those things don't match up, you need to go to the secretary of state and let them know your current address. Now once you get the notice of statutory summary suspension, the question is of course does the suspension take place right away. And if you notice, on the notice of statutory summary suspension it indicates to you that it does not take place right away. The statutory summary suspension is a summary, meaning you don't get a hearing before they do it necessarily, but it's not immediate. What happens is there is a 46 day waiting period, and on the 46th day following the date you were given that notice, whether it was by mail or given to you by person that's when your suspension will begin. Meanwhile if your license is valid, drive away! 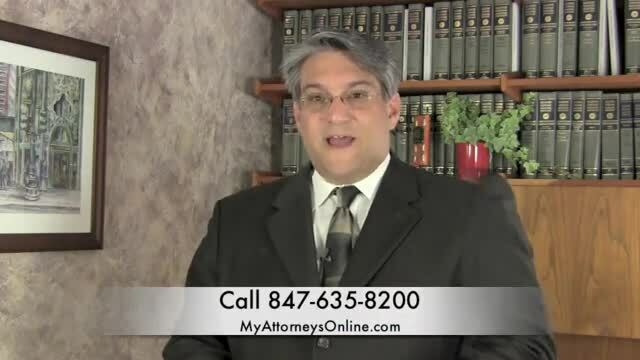 My name is Steve Fagan, from the Law Firm of Fagan, Fagan & Davis. Thank you for joining us. Call us if we can help you."